You already know how nervous I can get about failing to speak the right language when visiting a foreign country, but have I mentioned how I can occasionally struggle with international bookshops? Don't get me wrong, I love visiting them and walking around spotting covers I recognise in languages I don't, but I also find them very frustrating. I want to be able to open the books and read and understand the words, but my ignorance won't let me. Instead I wander around enjoying the view but frustrated by my inability to understand: it's like taking a child into a sweetshop but making them watch all the other children enjoy the stock. Thankfully, every now and then, a bookshop comes along to help me out. 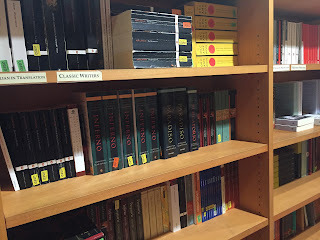 It either has an English language section or – in the case of this week's bookstore – is all in my native tongue. Paperback Exchange has been located near the Duomo in Florence, Italy, since 1979, when it was established as an Anglo-American family business, and a welcome quiet haven in the centre of Florence. These are words stolen from their own website that exactly sum up how I felt when walking into the air-conditioned cool one hot, sunny afternoon during my holiday. It's a good-sized space, with two rooms, lots of bookshelves and a couple of seats scattered around for browsers to relax in. 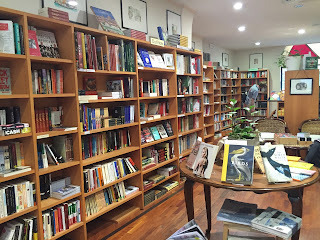 Books are fiction and non-fiction, with areas for local interest and a row of bookcases dedicated to Italian fiction that particularly attracted me. Stock is a mix of new and secondhand. 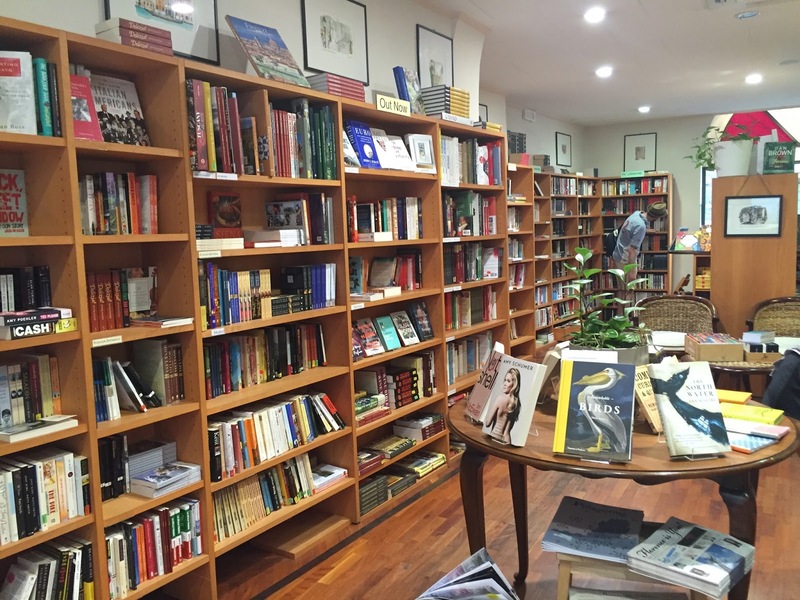 Starting life as a secondhand bookstore where customers could exchange old for new-to-you (as the name would suggest), it gradually evolved to also offer properly new books as the years passed. These are all shelved next to each other, giving browsers the chance, for example, to browse several copies of the Decameron in varying stages of life. I was particularly attracted to a slightly battered book with just the right level of notes in the margin to enhance your reading pleasure. The hefty tome would have come home with me were I not worried about baggage weight restrictions imposed by a particularly strict airline. Instead I opted for the third book in Elena Ferrante's Neapolitan series, Those who leave and those who stay. I'm a little late to the party with these books and it seemed only right to continue my reading of Italian novels thanks to a purchase in an Italian bookstore. My only complaint is that of the four books in the series this was the only one to not be available as a secondhand copy and I refuse to buy a series out of order – how I'd have loved to stumble across someone else's notes in the margins while I read* – but I'm sure many of you will agree that's no reason to complain. 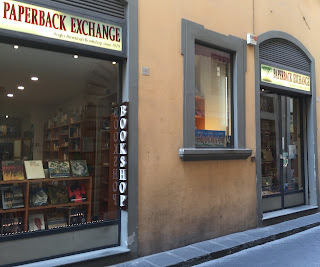 Paperback Exchange, and Florence as a whole, were wonderful, friendly places to visit (whether English or Italian-speaking) and I encourage every one of you to add this friendly family bookstore to your itinerary should you be holidaying nearby. *I'm a big fan of (within reason) allowing books to become changed: battered in handbags, corners folded and words underlined. All help to tell the story of the book's journey and I'm sure I'll write a miscellaneous post on the subject one day to try and win one or two more of you around. Oh my goodness, I visited this shop in the 1980s, I think I still have a bookmark I picked up then. So glad it's still going - especially as I am visiting Florence soon. Sorry, I somehow missed this comment or I would've replied sooner. It's likely you visited the shop in a different location as it's moved slightly closer to the Duomo. However it is still run by the same family - and going strong!